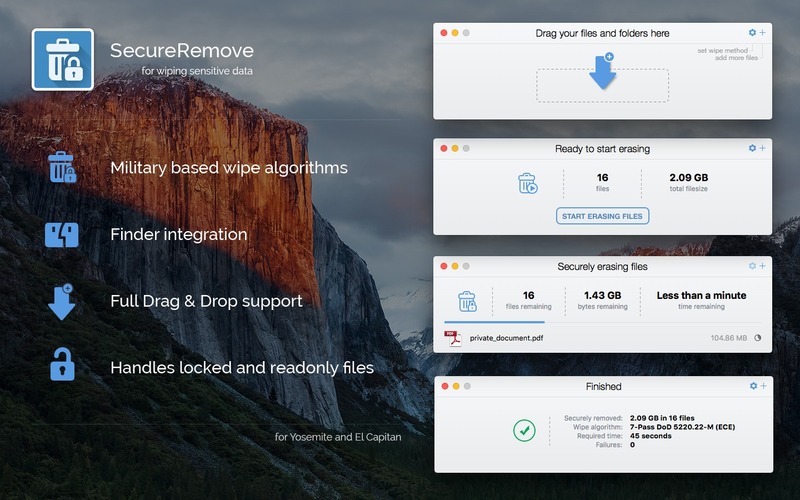 Is there a better alternative to SecureRemove? 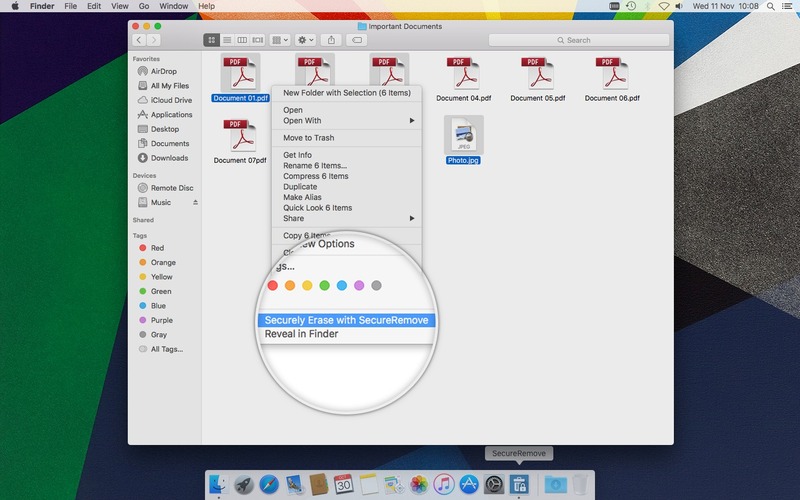 Is SecureRemove really the best app in File Management category? 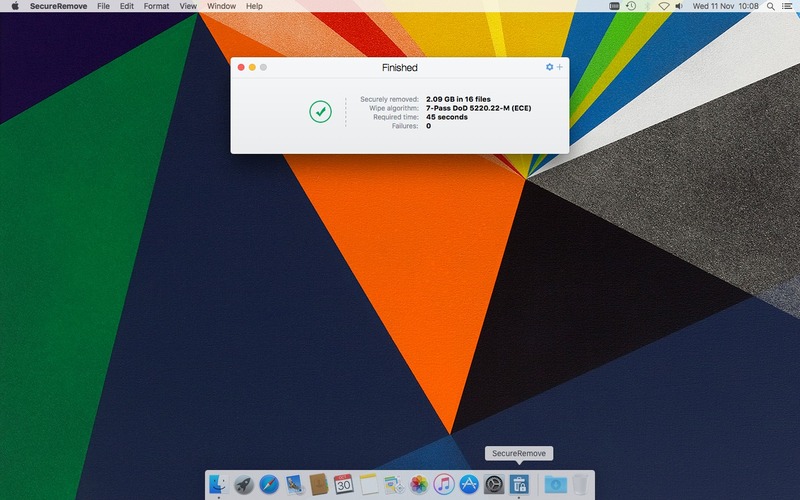 Will SecureRemove work good on macOS 10.13.4? 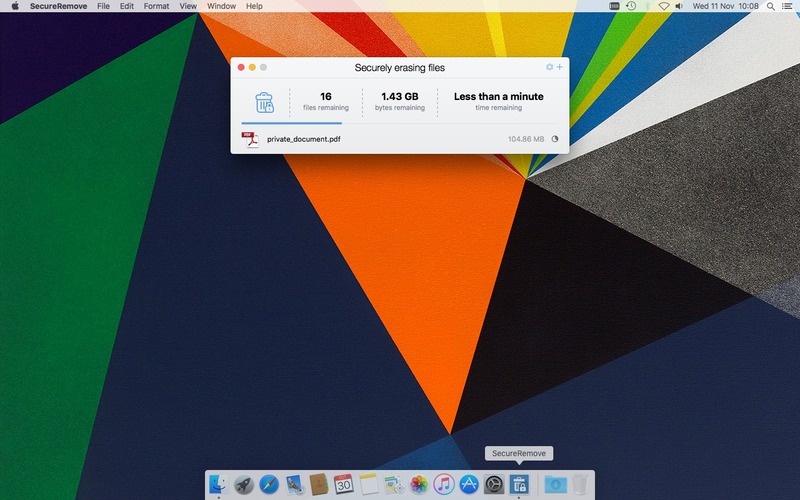 SecureRemoveis an app that allows you to securely erase your sensitive files on your Mac. 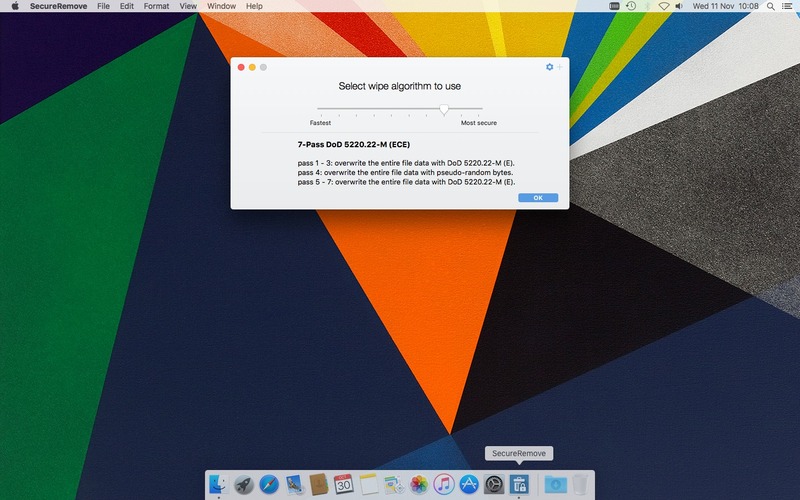 SecureRemove supports 10 wiping algorithms. From fast single pass to complex 35 pass algorithms, including the US Department of Defense standards, German Federal Office and Russian Federation standards. SecureRemove needs a review. Be the first to review this app and get the discussion started! Taking care of locked and readonly files.